SAP field status variant is a combination of several field status groups. Field status groups are maintained in an individual G/L account (at company code segment) to ensure which fields is required while booking transaction on this account. Using the functionality of field status groups, we can control which fields are required for input. 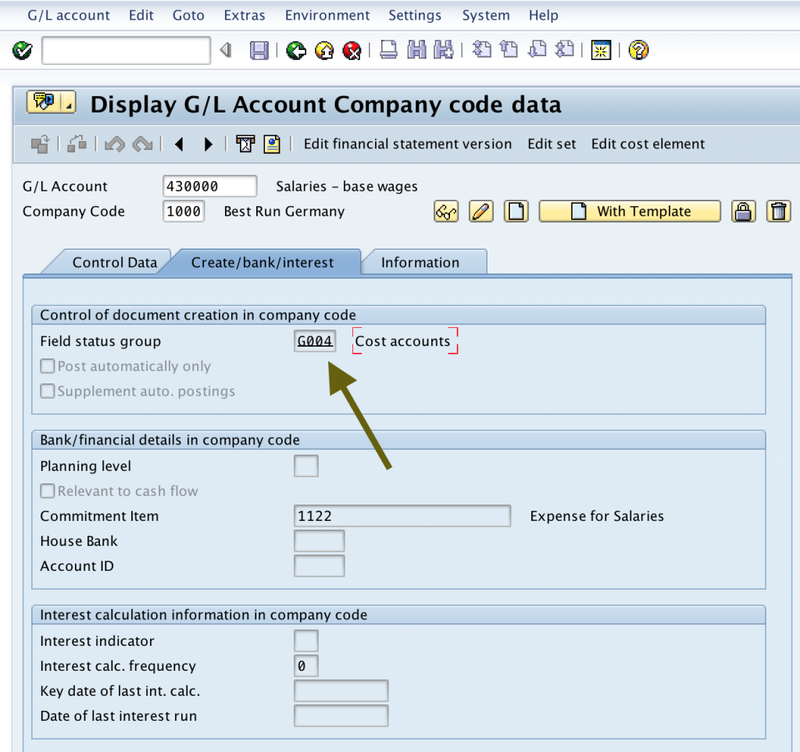 SAP field status variant can be assigned to multiple company codes. Field Status Variant is used to define the fields which are used for input like cost center, profit center, plant, etc., which are entry fields, and hidden fields. Field status Variant is a tool which is provided by SAP to assign the same set of properties to more than one object. Example − We define fiscal year variant and it can be assigned to more than one company code. 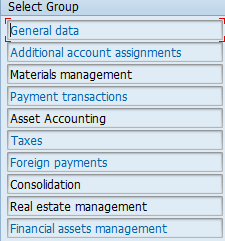 If a field status variant is assigned to more than one company code, the same set of screen field will be displayed while posting those company fields. 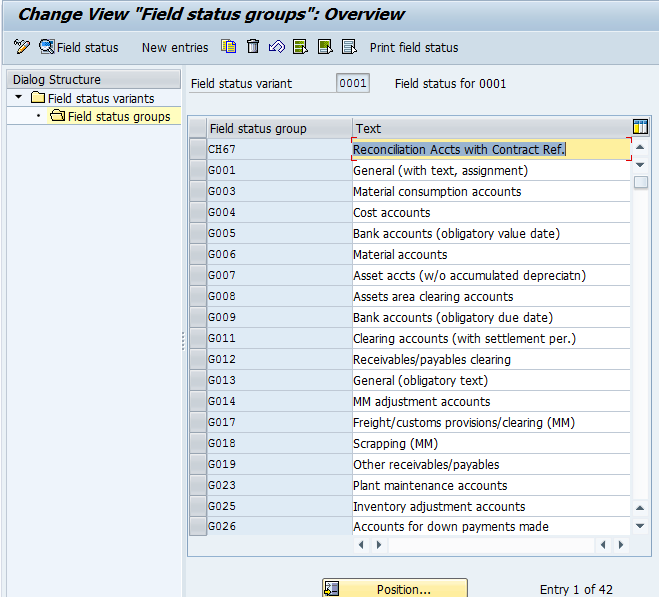 SAP field status variant enables us to customize SAP system and define required fields during entry of transactions. It helps users to input only required fields while booking business transactions. For example, imagine that we need to book an expense entry. For expense line items we can suppress fields related to asset accounting and, in the same way, for bank account we can minimize fields like cost center. After postings have been done, it is also possible to change field status group in G/L account master data (at company code level). Field status variant 0001 was provided by SAP with 42 standard field status groups. As per the requirements of a company, we can create new SAP field status variants with different field status groups. For each field in each field status group, it is possible to define its status as suppress, required or optional. Every field status group divided into many subgroups as shown below. General data: It contains fields Assignment number, Text, Invoice Reference, Hedging, Collective invoice, Reference specification, and Inflation Index. Additional account assignments: It contains fields Settlement period, Material number, Cost center, CO/PP order, WBS element, Sales order, Personnel number, Network, Commitment item, Plant, business area, Partner business area, Quantity, profit center, profitability segment, cost object, Joint venture acct assignment, Joint venture partner, Joint venture recovery indicator, Fund, Funds center, Trading partner profit center, Joint venture calculation type, Earmarked funds, complete earmarked funds, functional area, Add. Insurance account assignment, activity type, business process, grant, segment, partner segment, Partner fund, partner grant, budget period, partner budget period, partner functional area and Federal government. Material management: It contains fields Vendor goods movement, Customer goods movement, Purchase order, Reservation number, Inventory fields, Ext. GA amount in LC and transport order. This field status group should be in sync with MM field status groups. Payment transactions: It contains fields Due date, Value date, Payment terms, Cash discount deduction, Own bank, Bank business partners, Bank reference, Reason code, Instruction key for payment, Payment reference, Payment currency, Payment currency amount and Mandate reference. Asset accounting: It contains fields Asset retirement and Asset number/sub-number. Taxes: It contains Withholding tax code, Withholding tax amounts, EC tax data and Gross income tax. Foreign payments: It contains SCB / Supplying Country and Customs data. Consolidation: It contains only Transaction type. Real estate management: It contains only Real estate management fields. Financial assets management: It contains only Financial assets management fields. It is important to remember that a field status group setup should be in sync with posting keys (defined at the client level) and other integration modules. For example, if posting key 40 at the cost center level is in suppress mode whereas at the field status group level it is mandatory, then while booking expenses there will be a conflict because field status should be the same. How to Create SAP Field Status Variant? As per the requirements of a company, it is first necessary to configure required field status groups in the SAP system. Next, it is possible to proceed with creation of SAP field status variant. Path in SPRO transaction: Financial Accounting (New) – Financial Accounting Global Settings (New) – Ledgers – Fields – Define Field Status Variants/Assign Company Code to Field Status Variants. Transaction codes: OBC4 (Creation of field status variant) and OBC5 (Assignment of field status variant to company code). Relevant tables: T004V (Field Status Variant) and T004F (Field status definition groups). New field status variants are created in the transaction OBC4. You can create a new field status variant by copying a standard variant 0001 provided by SAP. On the next screenshot, you can see field status groups that are assigned to a particular field status variant. Once a new field status variant is defined, it is necessary to assignment it to a company code in the transaction OBC5.